Convert DOCM to JPEG and get neat output. You are here: CoolUtils > Total Doc Converter > Convert DOCM to JPEG and get neat output. If you have a DOCM file on your PC and are having difficulty in opening it, the best thing you can do is to convert it to a more common format. 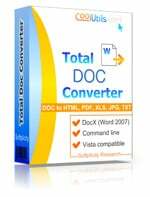 The new version of Total DOC Converter features DOCM support and converts DOCM files to JPEG and other popular formats. This converter has an improved interface and wizard. You can use the wizard and apply appropriate parameters to your output JPEG images. If you need to change DOCM to JPEG, you can do it easily even if this is your first DOCM JPEG conversion experience. Our users do not usually take descriptions on trust. All they do is download a 30-day free demo version and follow the interface. 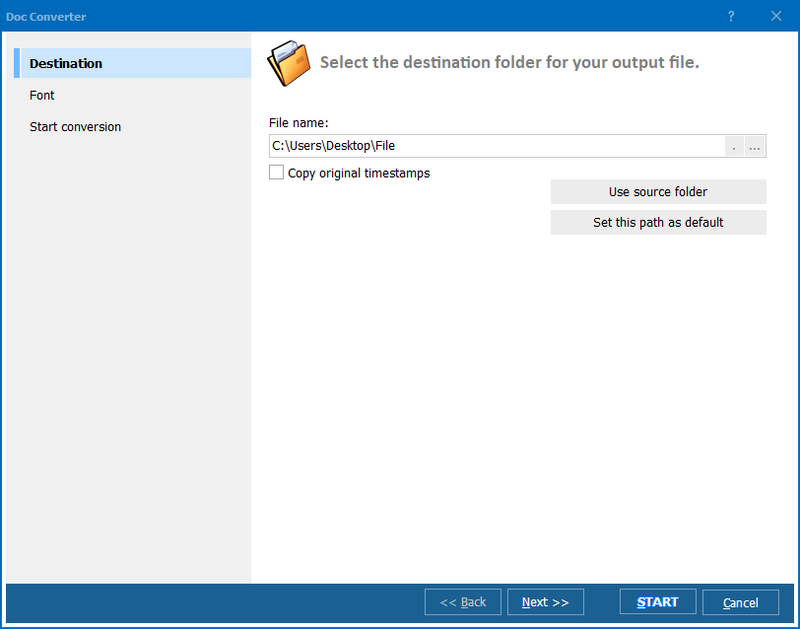 Launch it, scroll the folder tree, click on the folder with DOCM files. If the chosen folder contains DOCM files, they will be shown in the middle panel. 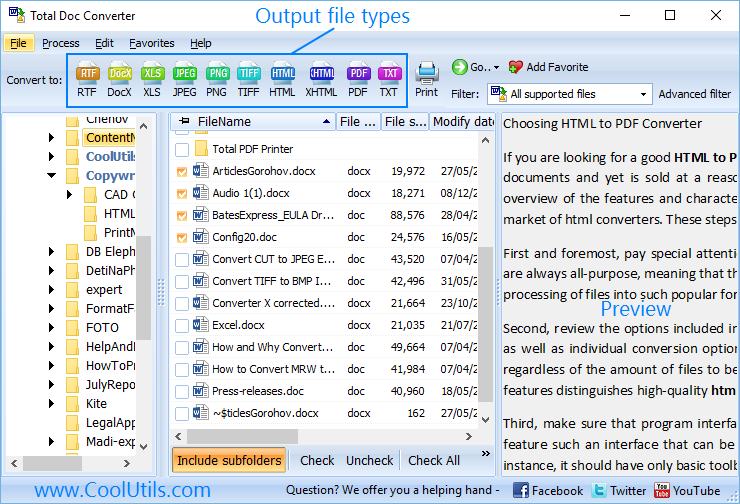 If you click on a file, its contents will appear in the right-hand panel. Each DOCM file has a checkbox. You can check one or a few files manually or press the "Check all" button and thus check-mark all the documents. 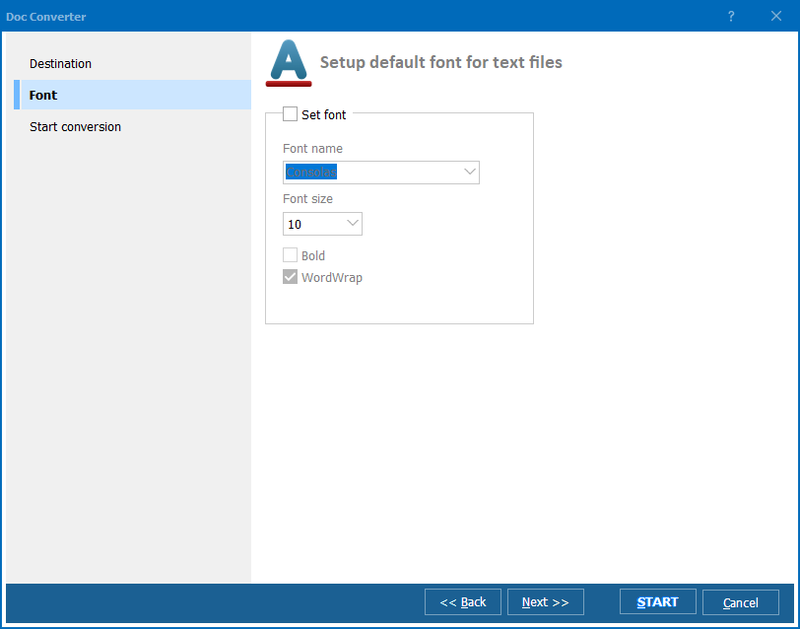 Adjust header/footer position and format them as required. Specify paper size, margins, image quality and color space for your output JPEG images. Select "Start Conversion" to review the settings and press "Start!" to convert. With this converter at hand, you will not have to spend hours trying to figure out how to save DOCM as JPEG. Download the free version and give yourself a 30-day training course!